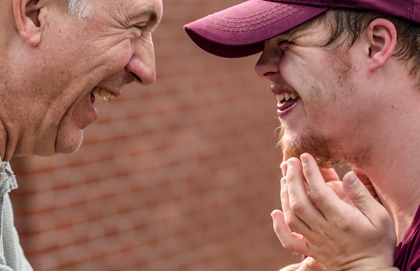 It was just another ordinary day for historian and documentary filmmaker David Gray. At least, that’s how it would have seemed when it started. He was doing what he’d done so many times before as a researcher—digging through historical archives on early Sikh immigration to Canada. But this time, as Gray immersed himself in the rich history of Canadian Sikhs, he found a tip that would change not only his own research, but eventually Canada’s understanding of the early Sikh community here in the North. Buried in the depths of Canada’s historical archives was a list of 10 men, all with the last name Singh, who had enlisted in the Canadian Army in the First World War. Men who, for all intents and purposes, were completely forgotten. At the time of Gray’s discovery, there was no information published on the role of Sikhs in the Canadian forces in World War I. You could speculate that the legacy of these 10 men might never have been found if it weren’t for Gray’s unexpected encounter. 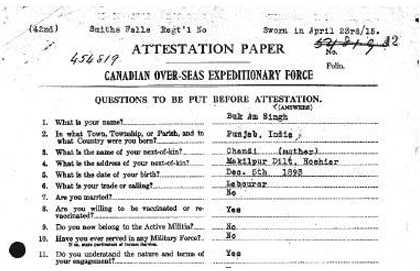 John Baboo, Sunta Gougersingh, Buckam Singh, Hari Singh, Harnom Singh, John Singh, Lashman Singh, Ram Singh, Sewa Singh, Waryman Singh were all fairly recent immigrants to Canada when they enlisted. Even more remarkable is that they had not even been granted citizenship, and were even denied the possibility of it. Yet, they decided to contribute to the war effort regardless. Eventually, Gray felt compelled to make a film on the soldiers, which goes into detail on each of their lives and individual contributions to the war effort. His film, Canadian Soldier Sikhs: A Little Story in a Big War was first released in 2012, and tells the tales of how some men defended their beliefs and practiced their faith during the war. Gray calls the tale of these men “a little story in a big war.” Indeed, the cohort is small. Only 10 men out of hundreds of thousands of soldiers. But it remains significant nonetheless. To watch the film, complete with archival photographs and video footage, see here. Calgary’s interfaith community hosted Habitat for Humanity build days during UN World Interfaith Harmony Week in early February. 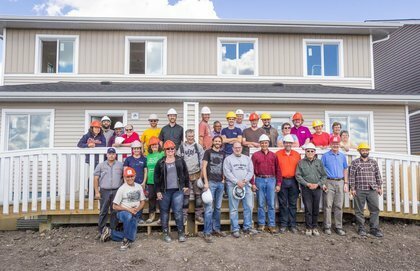 Pictured: a clergy build day last August in Calgary. 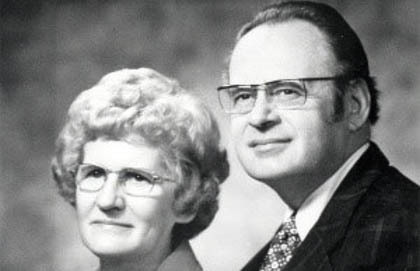 Frank C. Peters became president of Waterloo Lutheran University (which would later be renamed Wilfred Laurier University) used his leadership and relational skills to help that institution move from the private faith-based sector into the public sphere.